Happy 75th (and a half) anniversary! As we march towards Super Bowl LI and the NFL’s annual showcase for multi-million dollar TV commercial placements, it’s worth recalling, on this Tuesday, another Tuesday many decades hence. The one that fell on July 1, 1941. 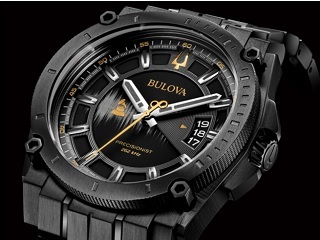 Bulova Watch Co., New York, opened and closed the day’s transmissions on WNBT with a visual adaptation of its familiar radio time signal. A standard test pattern, fitted with hands like a clock and bearing the name of the sponsor, ticked off a full minute at 2:30 p.m. and 11:00 p.m. For the edification of the viewers-in. July 1 was also the first day that people in New York with properly adjusted TV sets could choose between more than one channel. In addition to WNBT, they could tune in CBS’s WCBW or Dumont’s W2XWV. According to Sponsor magazine, Bulova paid $4 for each chunk of air time and $5 for the facilities. In other words, the first U.S. TV commercial was placed for a grand total of $9. Immediately following the opening one, viewers were taken to Ebbets Field for a game between the Brooklyn Dodgers and Philadelphia Phillies, with play-by-play provided by Ray Forrest. Sun Oil Co., a.k.a. Sunoco, based in Philadelphia, was the featured sponsor on the July 1 WNBT evening news featuring Lowell Thomas. The program was simulcast over the Blue radio network as Hugh James read commercial scripts, during breaks, from a desk stacked with the company’s oil cans. Other commercial imprints on this historic launch day included Lever Brothers Co. presenting the program Uncle Jim’s Question Bee. Helper Aunt Jennie, played by Edith Spencer, plugged the cooking product Spry early on and then, at the end of the program, served chocolate cake made with it to cast and crew. There was also July 1 on WNBT an episode of Truth or Consequences sponsored by Proctor and Gamble. The estimated amount of TV sets in use that day: 500. Finally, getting back to the Super Bowl, the 1941 National Football League Championship was played at Wrigley Field two weeks after the Japanese attack on Pearl Harbor. As a result, a scant paid attendance of 13,341 watched the Chicago Bears defeat the New York Giants 37-9. It remains the smallest live audience for an NFL title game. Images via: NFL.com and Sponsor magazine. Our thanks to Martin Gostanian, supervisor of visitor services at The Paley Center for Media in Los Angeles, for alerting us to the historic July 1, 1941 events and providing the articles referenced herein.